One night in 1951 Wolfgang Weihermüller put all his eggs into one basket: He crossed the ‘Green Border’ at Rudolphstein. In his backpack he carried parts of a valuable knitting machine. Having arrived in Bayreuth, he used this knitting machine to lay the foundation for the internationally successful company, medi. Wolfgang Weihermüller's courage in leaving the former GDR and taking production machines with him could have cost him his freedom. But his desire to leave was even greater. So, he brought the knowledge of hosiery and corsetry he had acquired in the family business in Pausa, Saxony to the FRG. Together with his cousin Günter Voigtmann he founded the company WeCo. They initially started with just three knitting machines and a skill in rubber knitting. Driven by their entrepreneurial spirit, the men started to produce medical ‘rubber stockings’ in a former Bayreuth dance hall. Challenging current issues was and still is medi’s motto. WeCo revolutionised compression therapy with the first seamless, highly elastic mediven stocking, bringing the first transparent compression stockings to the market in 1975. The passion to continuously improve medical aids such as compression stockings, supports and orthoses and to think holistically opened up further business: Over ten years ago, medi discovered the activating effect of compression for sports. It was the birth of the sports brand, CEP. As a pioneer in this field, today medi sportswear can be seen at every city race and marathon. Both amateurs and professional athletes rely on CEP. The fashion world has welcomed the benefits of compression. With the high-quality stockings and shapewear collections in the ITEM m6 brand, medi has thrown itself into the world of beauty and wellness. The compression products visually tighten silhouettes and lift the buttocks as well as ensuring fit, slim legs. Well-known designer collaborations paved the way for fashion products being displayed on the catwalks of major fashion capitals. Sale of medi prosthetics GmbH to Össur. medi presents the very first compression stockings with printing all round, mediven elegance "Leo" and "Circle". Foundation of medi prosthetics GmbH. The newly established, independent prosthetics company is a 100% subsidiary of medi. medi becomes new main and title sponsor of Bayreuth's German basketball league club. The previously named BBC Bayreuth is now medi Bayreuth with the slogan "feel the passion". igli carbon insoles now belongs to medi – the new Footcare Division is founded. ITEM m6, medi's fashion brand, conquers the world of fashion. medi's fashion brand products lend the legs more energy all day long. Foundation of the charitable organisation medi for help. Wolfgang Joop presents medi's products in his show "Hurt and Heal" at Paris Fashion Week – the beginning of an exciting co-operation spanning a number of years. The new Lifestyle division is founded, with the sports brand CEP as one of the highlights. Improved performance and more rapid regeneration for athletes: CEP, medi's sports brand is born. medi launches the M.4s, the first sterile knee brace, onto the world market. The patented medi Liner RELAX is the first silicone Liner for phantom pain world-wide – without any side effects. For the first time, medical compression garments from medi are available in trend colours. mediven travel is the first clinically tested travel stocking on the market. medi brings the Spinomed back brace, the first back orthosis ever with a scientifically proven effect against osteoporosis, onto the market. The range of services offered by the Prosthetics division is expanded. The company is rebranded as "medi", the entire look of the company is changed and the umbrella brand is founded. Phlebology joins the Orthopaedics division. mediven thrombexin, the medical thrombosis prophylaxis stocking, is introduced in hospitals. medi 75 is the first compression stocking with a sheer look. This has been developed further to become today's mediven elegance. The Hospital Division is founded. struva, the anti-embolism stocking, bolsters the range. The medi stocking is born – the first seamless, highly-elastic compression stocking with a covered weft thread. Wolfgang Weihermüller and Günter Voigtmann found the company WeCo in Bayreuth. Albert Weihermüller and Berthold Voigtmann laid the foundation stone for a successful future with the company Weihermüller & Voigtmann in Pausa / Vogtland. The combination of aesthetics and health became the basis for these globally successful products from Upper Franconia. 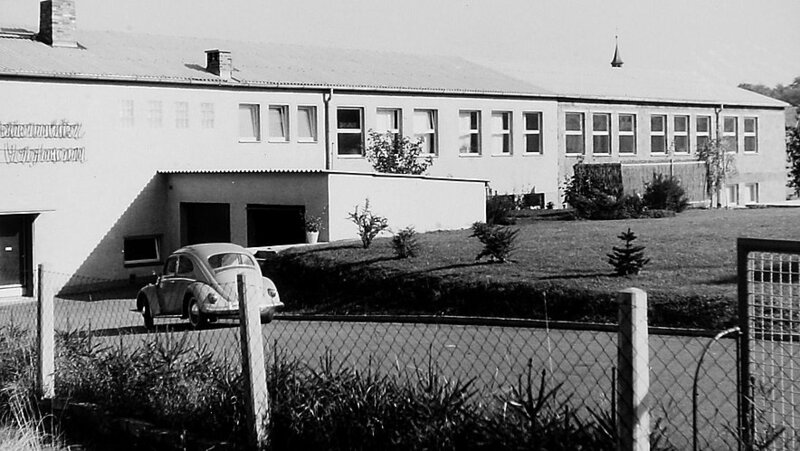 When the sons of Wolfgang Weihermüller, Dr Michael Weihermüller and Stefan Weihermüller entered the company, they focused on the international market. With the opening of the US branch in 1982, they led the company in its international breakthrough.